US Secretary of State Mike Pompeo says he is ready to restart negotiations with Pyongyang, with the aim of denuclearising North Korea "by 2021". Discussions between the two sides had stalled following a broad-strokes agreement made earlier this year. But a meeting between North Korea's Kim Jong-un and the South Korean president seems to have reassured Washington. Following those talks, Mr Kim agreed to shut one of the country's main missile testing and launch sites. 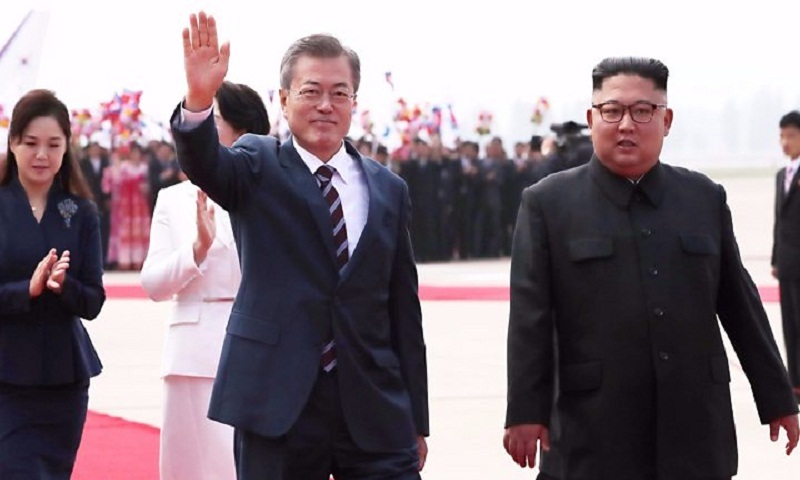 Mr Kim also "agreed on a way to achieve denuclearisation" on the Korean peninsula following the summit with his South Korean counterpart, Moon Jae-in. Mr Pompeo said it was "on the basis of these important commitments" that the US was "prepared to engage immediately in negotiations". In a statement, he said he had invited North Korean Foreign Minister Ri Yong-ho to meet him in New York next week, while invitations had been extended for a second meeting between North Korean and US representatives in Vienna, Austria. "This will mark the beginning of negotiations to transform US-DPRK [North Korea] relations through the process of rapid denuclearisation of North Korea, to be completed by January 2021, as committed by Chairman Kim, and to construct a lasting and stable peace regime on the Korean Peninsula," he said. The January 2021 date is the most specific timeline an official on either side has put forward publicly so far. The main focus of the summit between Mr Kim and Mr Moon was the issue of denuclearisation. Mr Kim expressed a readiness to shut down the Yongbyon nuclear facility - where North Korea is believed to have produced the material used in its nuclear tests - if the US takes some reciprocal action.